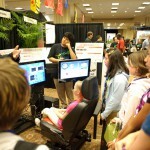 Advanced vehicle technology competitions (AVTCs), such as the EcoCAR Mobility Challenge and its predecessors, would not be possible without the support and contributions of its key sponsors. 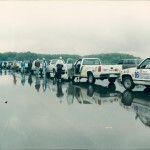 Sponsors offer training, donate vehicle components, and provide financial support and tools that are an integral part of completing the competition effectively. 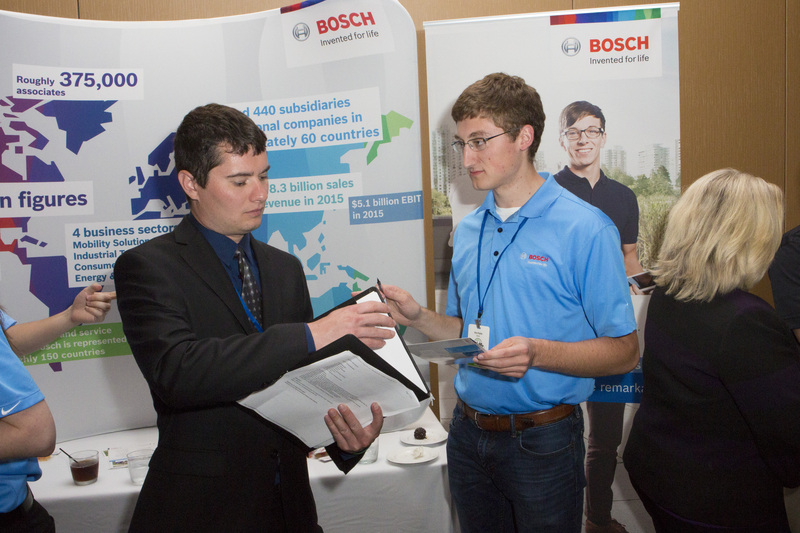 The Bosch Group is a prime example of the impact a key sponsor can have on the success of EcoCAR teams. Leadership level sponsor, Bosch, has a mission which is to create and harbor technology that is “invented for life,” and WVU EcoCAR Mobility Challenge team member Priyash Misra has had personal experience with their mission. Misra was part of the EcoCAR 3 team that wrote a proposal to Bosch to supply radars for their Advanced Driver Assistance System (ADAS). As a result, WVU was one of five teams selected to receive a full radar suite for their Chevy Camaro, which helped pave the way to the team’s 2nd place finish last year. 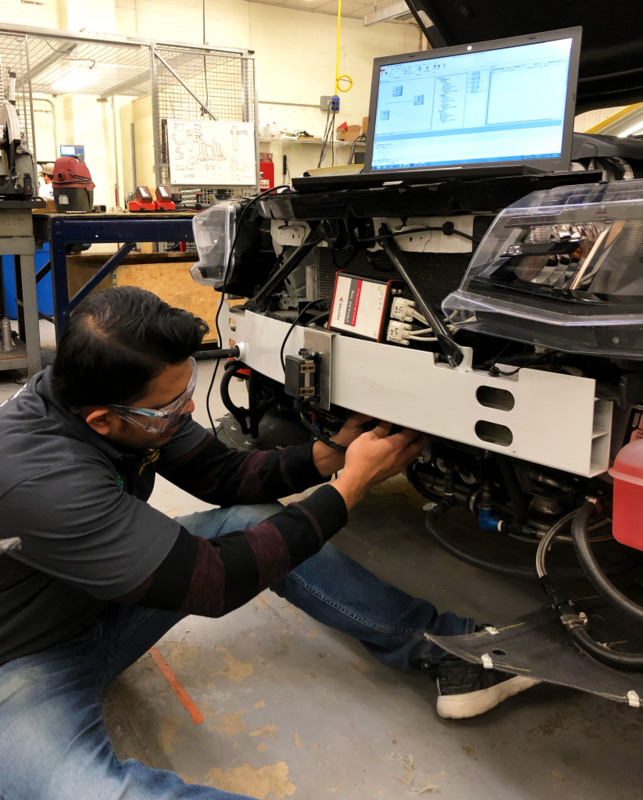 During that time, Misra was the ADAS team lead; he has now taken on the role of leading the connected and automated vehicle systems (CAVs) team in the new competition. “Every sponsor is important to us. With Bosch, team members have had a chance to work on components with Bosch engineers. This gives our team valuable exposure to the industry’s way of problem solving,” Misra said. This year, along with the radar hardware, software and technical support for CAVs, Bosch is donating electric motors and inverters for the hybrid vehicle propulsion system being developed for the Chevy Blazer. As the CAVs lead, Misra is working on designing a CAVs architecture and assisting the electrical and controls team with various aspects of the project. He’s excited to be working on this new part of the competition, as it relates directly to his computer engineering doctoral dissertation work on adaptive CAVs networks. “We’re donating sensors to the teams again this year and having people who are already working on our products and know how it all works. 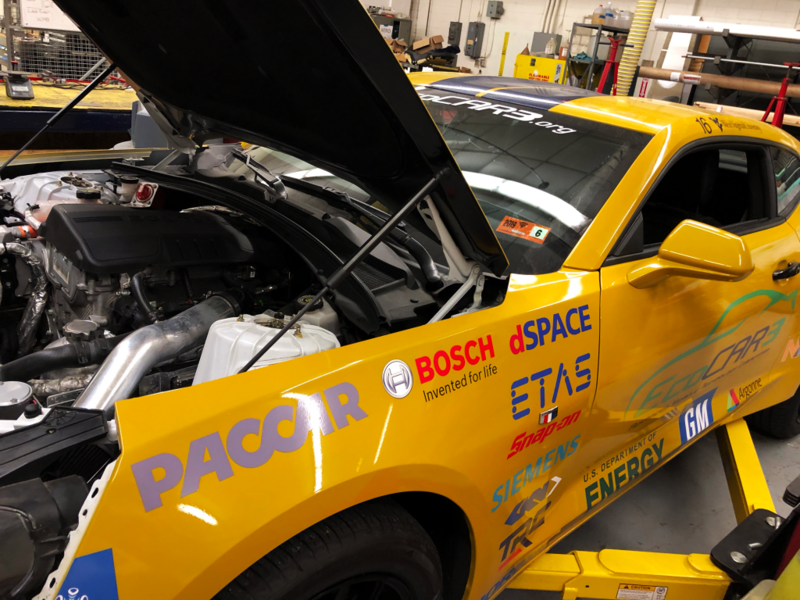 It’s nice to hire somebody and know that when we bring them in that they already know what they are doing and can hit the ground running,” Troy continued as he explained why sponsoring competitions such as EcoCAR allow them to build a strong and competent engineering workforce. With more than 59,000 researchers and developers nationwide, such dedication to inspiring innovation is a major part of the Bosch Group’s work. 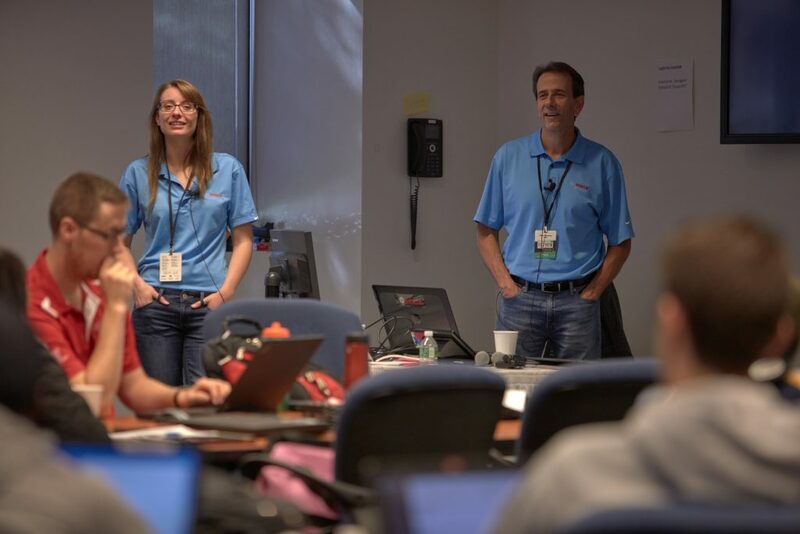 The company’s contribution to EcoCAR extends that mission by inspiring hundreds of students to confidently embrace new technologies and propose innovative applications.